Our bank holiday started with a trip to Suffolk, to tick a few items off our ‘things to do’ wedding list. 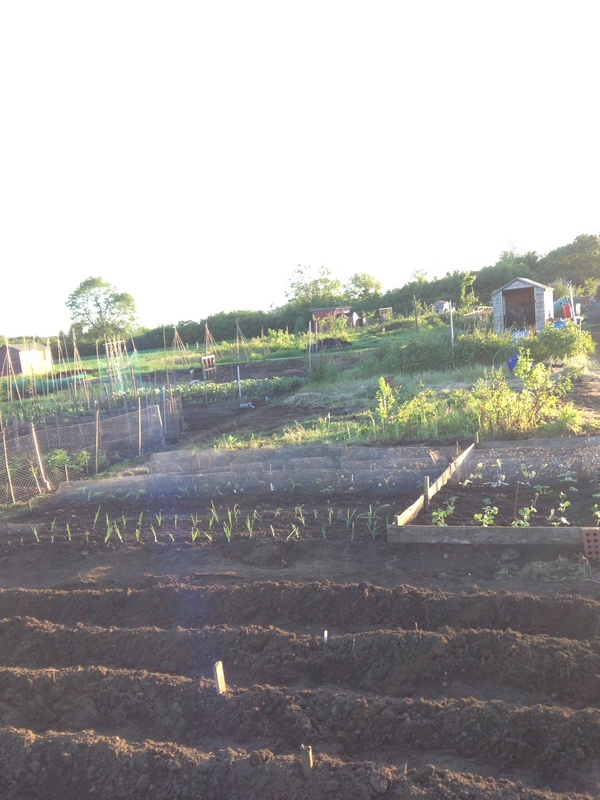 Suits, order of services and paper pom poms sorted, we then got on with the second job in hand…the allotment. We have been very lucky in that my Mum has started off lots of vegetable plants for us this year, whilst we don’t have our own garden/greenhouse and were waiting to hear if we could have an allotment. 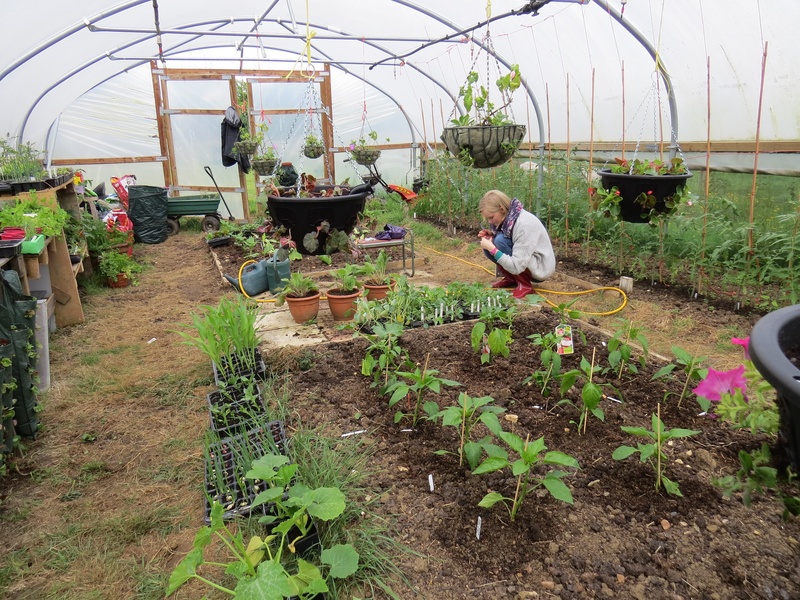 So whilst it was raining outside on Saturday we were in the polytunnel with Mum sorting out what we could take back with us and bagging up lots of cabbage plants. 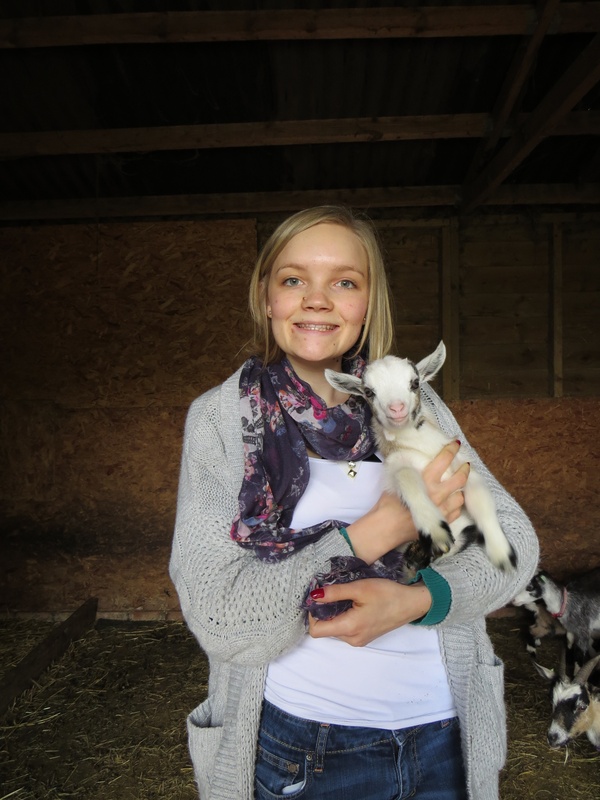 We also had a play with this little cutie, before packing all our plants in the car and heading home. Sunday we had a mission…we’d done our research and checked the weather. 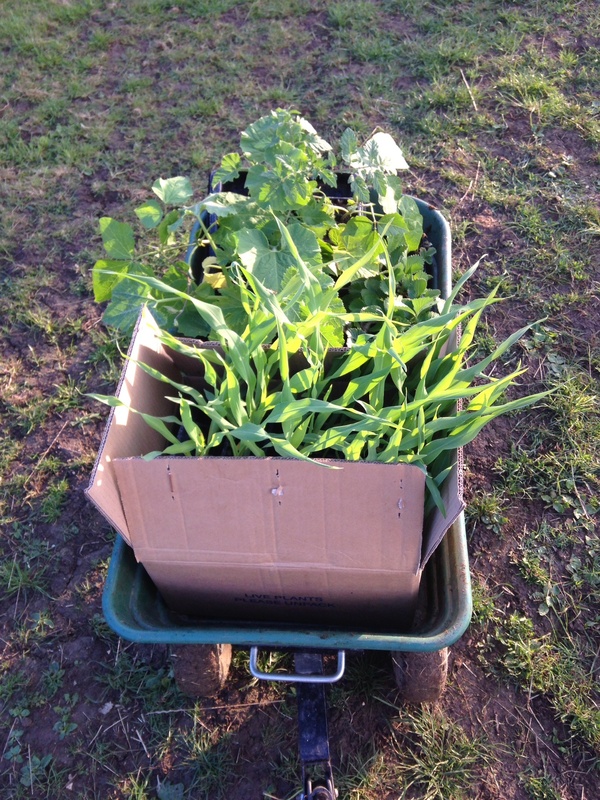 Sunday was the one day we had to plant all our newly acquired vegetable plants. We gave ourselves a moto for the day ‘keep going today, cos its going to rain tomorrow’. 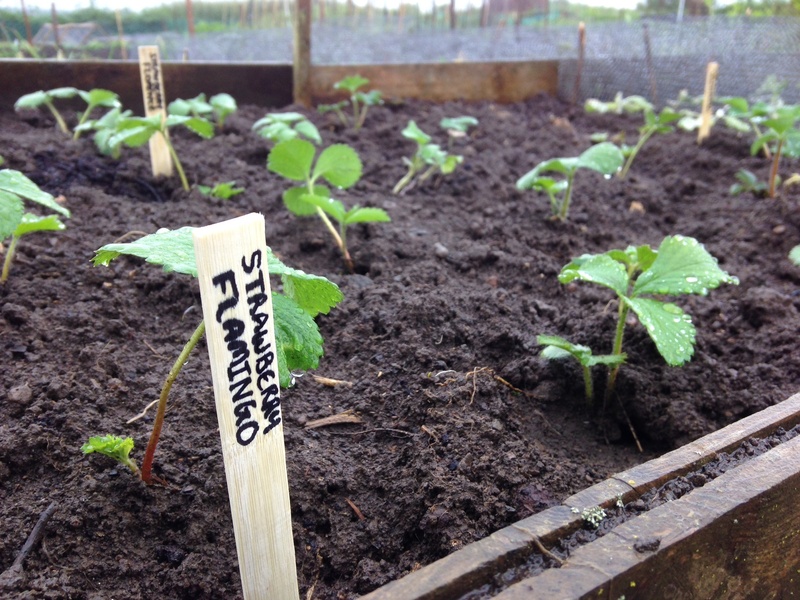 First we planted up our raised bed, with Strawberries, Lettuces and Beetroot. We’ve gone for a few different varieties of each, for a bit of variation. 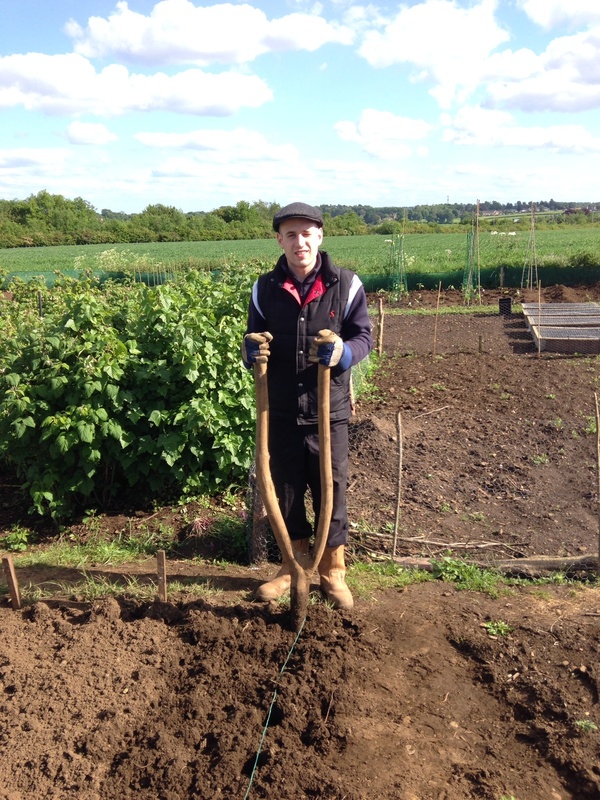 We then got on with what I consider one of the hardest tasks of the year (until now), putting in the potatoes. 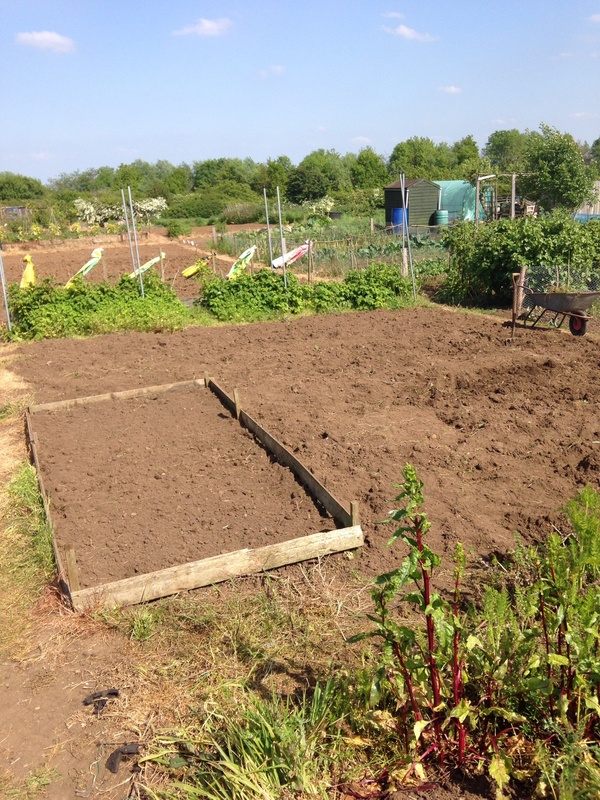 We dug away, making two trenches and spaced the tubers out before covering them back over. 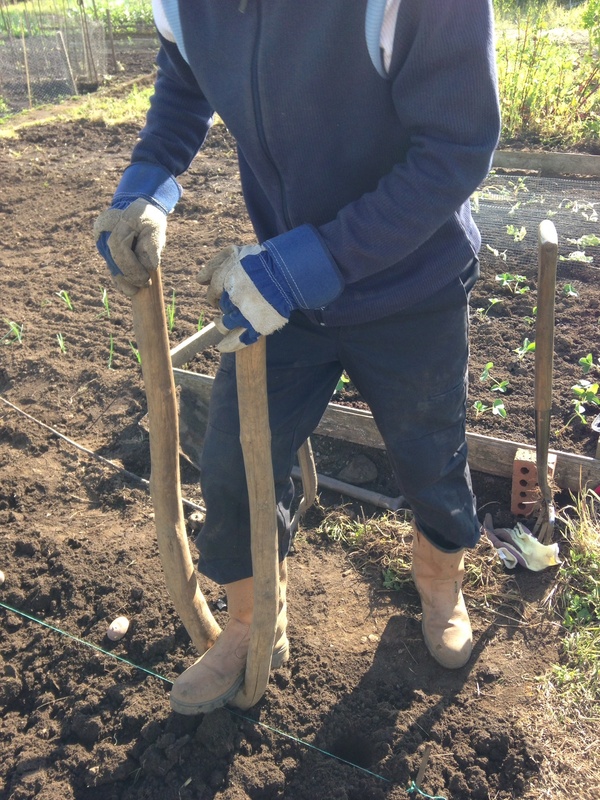 We then had a chat with one of our neighbours who explained that we has moved on from digging trenches and now uses a weird branch looking tool to make individual holes! 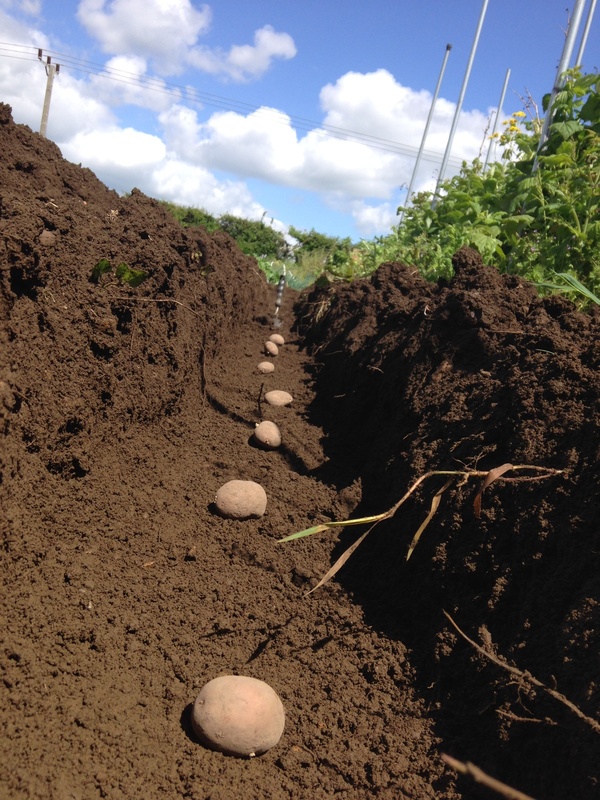 As we had another 80 tubers to go we thought we have an experiment and do a couple of rows in this new way. Straight away it seems to be a lot easier. 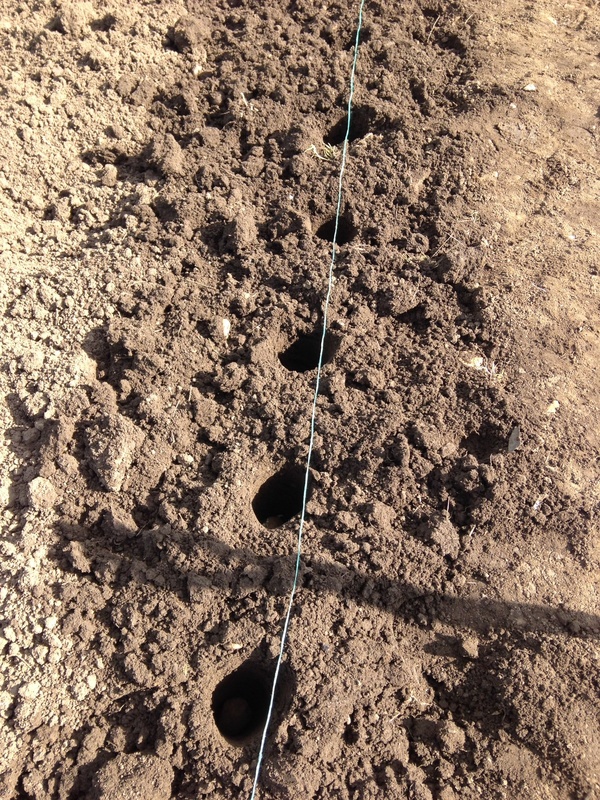 We dug over the area before hand, to loosen the soil where the tubers will be spreading their roots, and then started making the holes and dropping a tuber in each one. We then went back over them and filled the holes. We’ll see later in the year how well these have grown! (Fingers crossed this method doesn’t reduce the number of potatoes we will get). 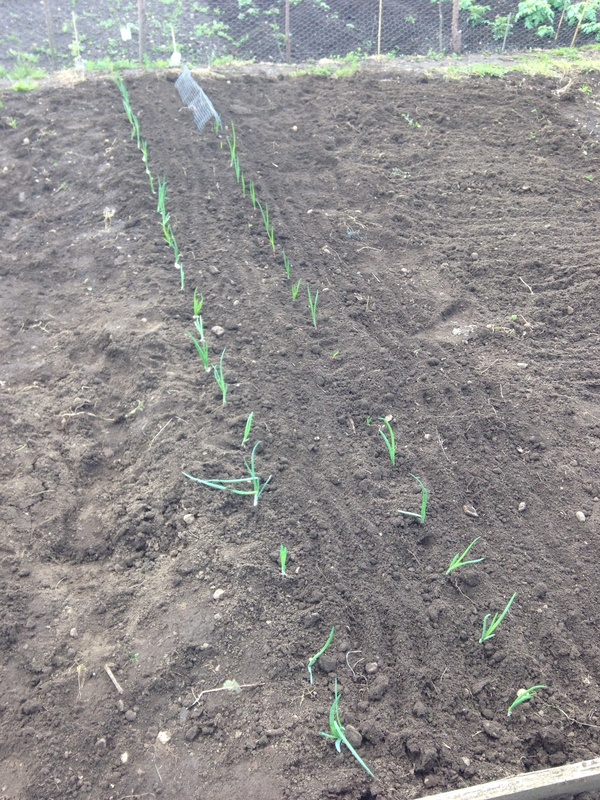 We also set out our onions and shallots. 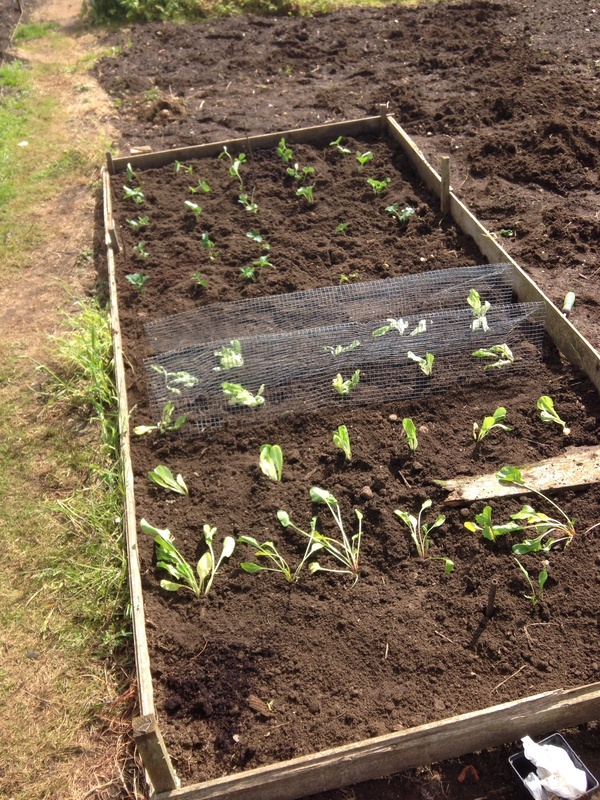 Followed by, Romanisca (we can’t wait to try this alien looking veg), Cabbages, broccoli and Brussels sprouts. 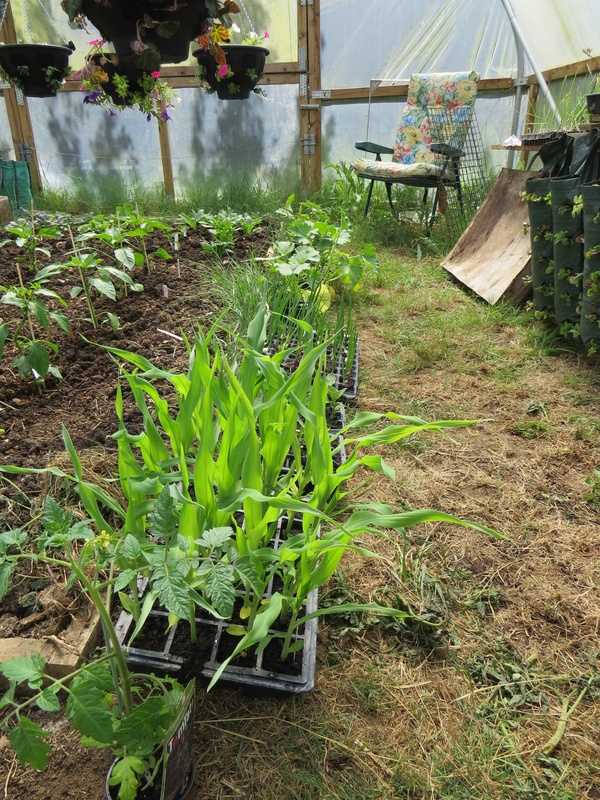 We then got on with the huge task of covering over our crops, so they don’t get pecked at by the birds which fly over in the evenings. It took so much longer than we expected to cut bits of chicken wire and mould it. But once they were all covered over it felt worth the effort. Even if Oli did end up with blisters all over his hands! As cheesy as it sounds, we were so proud of how much we’d done! As we’d already checked the weather for the weekend it was no surprise to hear the rain first thing this morning. 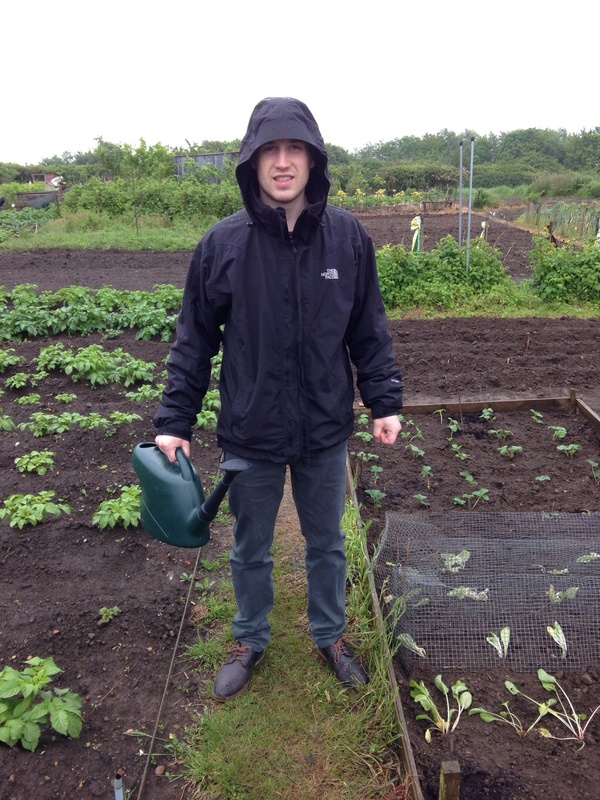 Silver lining…at least the plants are getting a good watering in! We took the opportunity to pop to town and pick up a few things which we realised we didn’t have yesterday, plant tags being the main thing, but also a watering can and some string. 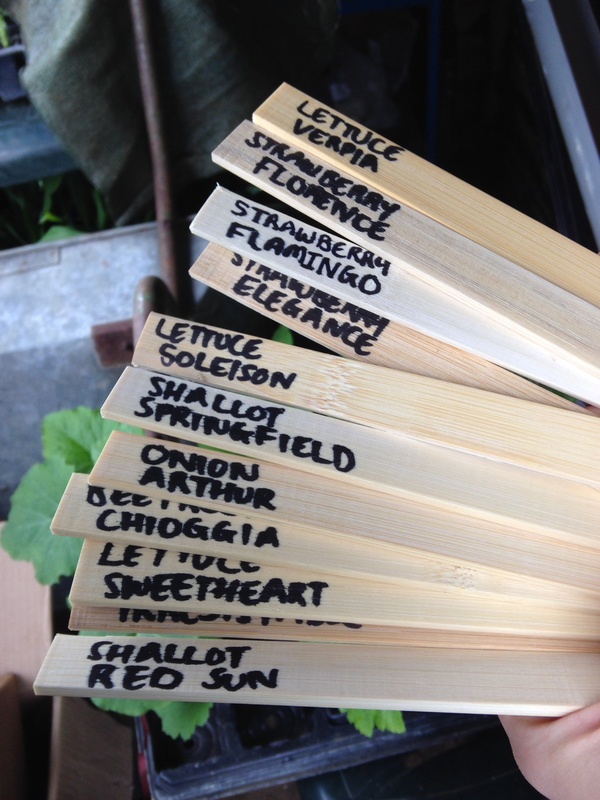 We drove past the allotment on our way home, and stood in the shed writing the labels out whilst it continued to tip it down. We can now see what is planted and where, phew. At least we’ll know what we are eating later in the year now. The weather forecast doesn’t look good for the week ahead! We might not be doing any digging this week, but we won’t need to do any watering either. Bonus.